It’s no secret vinegar is a must have product in every natural household. 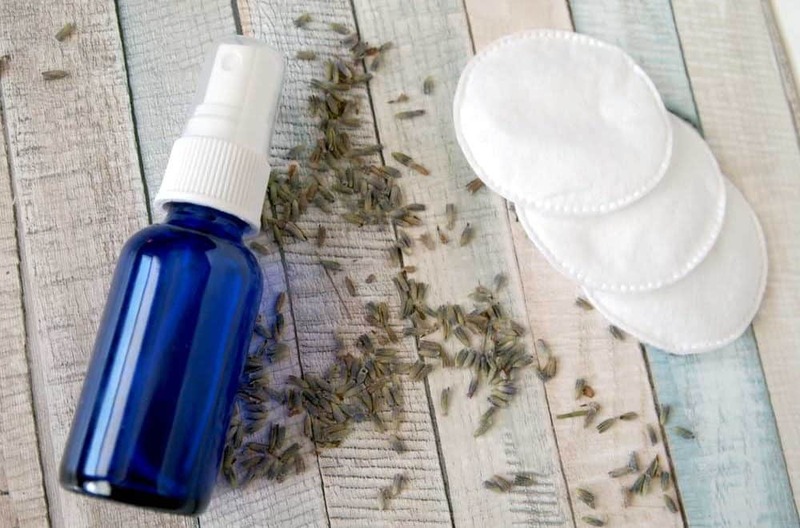 The stinky stuff has a plethora of uses: It can be used for cleaning, in the garden, in cooking, medicinally and as a beauty product. One of my favorite uses for vinegar is as a hair rinse. Vinegar helps balance your hair’s pH and gets rid of residue left by products, heavy shampoos and conditioners. 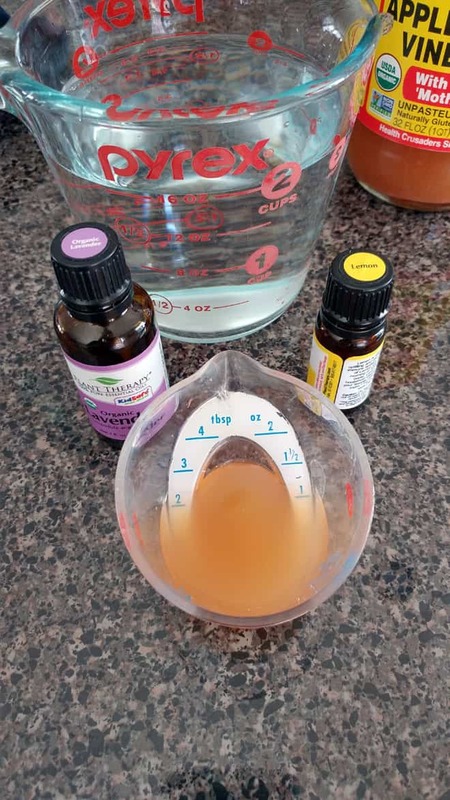 Here’s how to make your own aromatherapy vinegar hair rinse in just a few minutes. This recipe is super simple and can easily be customized to best suit your own hair type. The basic ratio for this is 1 cup of water or tea to 1 tablespoon of ACV and 4 drops of essential oil. You can scale it to meet your needs, or start with a small batch to see if you like it. After I shampoo my hair, I pour some of the vinegar mixture onto my head and rub it in a little. I usually let it sit for a minute or 2, and then rinse out. Some people leave it in, but I prefer to rinse. Rinsing eliminates the vinegar odor faster, which I have to say was a little hard to get used to at first. No worries – the smell doesn’t linger….as soon as you rinse it’s gone. It makes my hair feel silky and soft, and I don’t need conditioner anymore. What essential oils are best for hair? 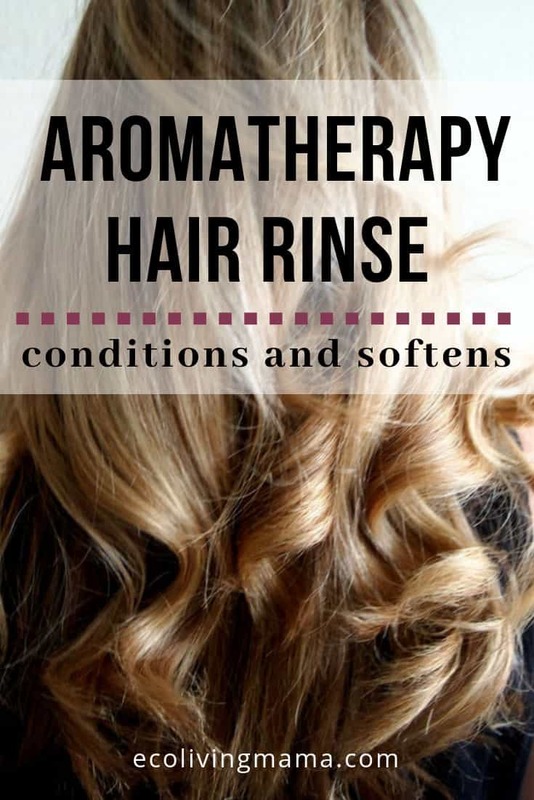 There are a number of different essential oils you could choose to add to the rinse that are beneficial for your hair. This is only a partial list and includes some of my favorites for hair care, but there are certainly others that are beneficial for hair as well. My favorite essential oils are from Plant Therapy: they are high quality, affordable, and they have tons of choices. If you have children, make sure to check out their KidSafe line of blends and single oils that are all safe for use on kids. Plant Therapy essential oils are available on Amazon or you can purchase directly from their website (with free shipping!) and Get 10% Off SITEWIDE with Your $60+ Purchase & FREE Shipping, Use Code “10OFF60”. You can also leave out the essential oils all together if you prefer! 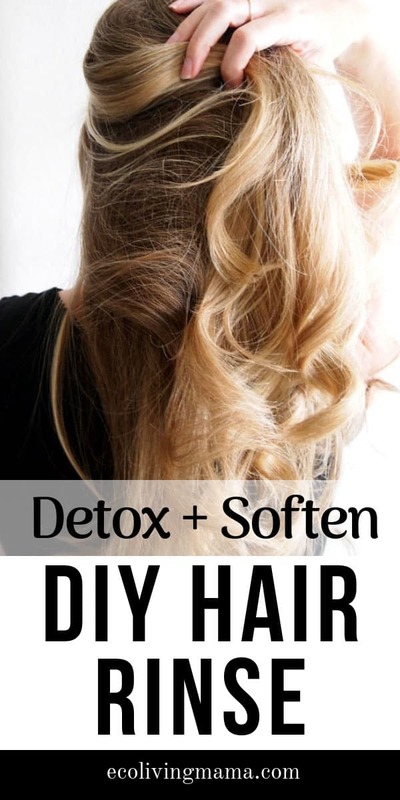 The vinegar alone will still do a fabulous job of cleaning the gunk out of your hair. Let me know what combination you use if you try this out! Looking for more DIY beauty? 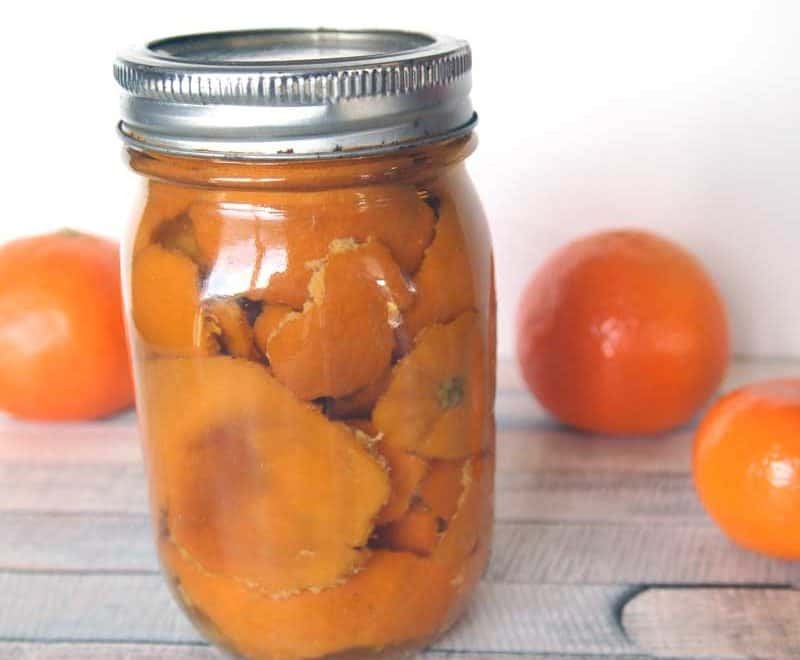 Try my homemade cuticle oil! I really liked this rinse. For the water portion I used an infusion of lemon peel and chamomile. For the essential oil portion, I used half lemon and half pure vanilla fragrance. I’m so glad you liked the hair rinse Amy! Lemon and chamomile sounds like a wonderful combination – I’ve used chamomile for this before and really liked it. And vanilla is always a good choice in my book – that sounds lovely. Thanks for the feedback, and so glad to hear it worked well for you!